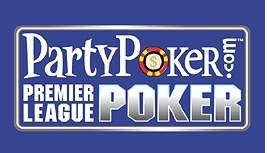 The Party Poker Premier League preliminary heats are no complete, and eight lucky players have earned their place at the final table. Among the players that have secured seats at the eight-person final table are Daniel Cates and Matthew Frankland who both won their respective groups, as well as Tony G, Patrik Antonius, Sam Trickett, and Scott Seiver who qualified by placing in the Top 3 of their Group, and Tom Dwan and Phil Laak, who had to win a heads-up match to secure their spots at the final table. Dwan won his way into the final table mix after defeating Yevgeniy Timoshenko in a heads-up match on Monday, while Laak bested Andy Frankenberger to earn a spot at the Party Poker Premier League V final table. The heads-up matches were played in a best of three format. The Premier League final table will be played out on Tuesday in Vienna, Austria with the players beginning the final table with 10,000 chips for every point they earned during their four qualifying heats. Frankland, the only amateur player of the bunch, who qualified online and then won a single-table tournament against other qualifiers and poker professionals to earn a spot in the Group play, will start the final table with the largest stack, having earned the most points during the qualifying heats. You can visit the Party Poker blog for live updates of the final table on Tuesday. This entry was posted on Monday, April 9th, 2012 at 6:49 pm and is filed under Poker News. You can follow any responses to this entry through the RSS 2.0 feed. You can leave a response, or trackback from your own site.